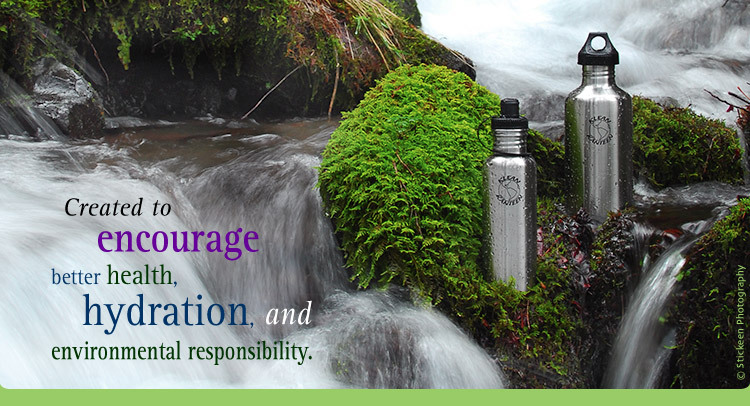 Klean Kanteen stainless steel water bottles are a great alternative to plastic water bottles which can leach toxins such as bisphenol-a, which is a hormone disruptor and has been linked to breast cancer and reproductive mutations. Plastics (such as #7 - like Nalgene and most baby bottles - which until recently was thought to be the best) migrate carcinogens including BPA during regular use, exposure to heat, and especially after cleaning. Scratched bottles leach even more.